I didn’t expect to make another one of these posts so soon, but if I had found Becalm a few days ago I would have added it to the last one I wrote, so you can consider this a sort of extra to that. This program, available on Steam and itch.io, is a nice free stress reliever by creator colorfiction. Even though I’m posting this under the “Games for broke people” title, I feel like I have to call this a program rather than a game, because you don’t exactly play Becalm. 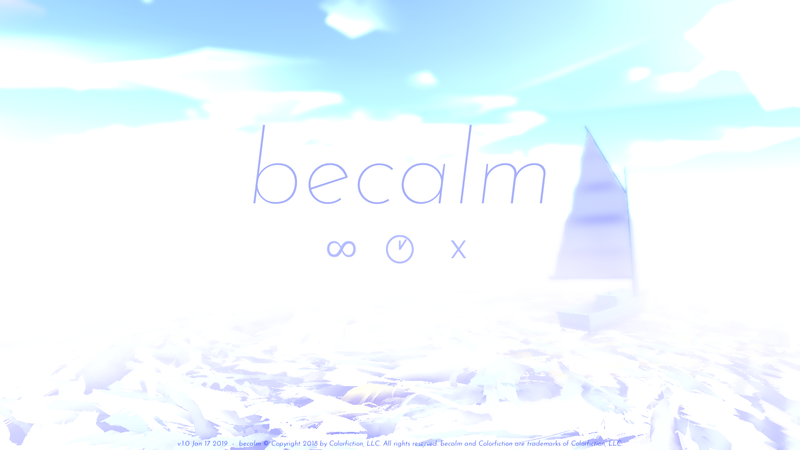 There wasn’t a whole heap of gameplay in TAKANARIA or What Never Was, but there is absolutely none in Becalm, which is kind of the point. 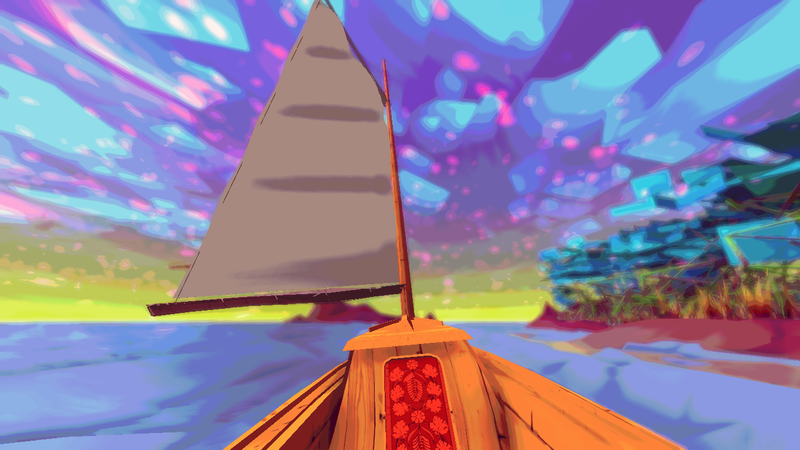 The entire experience consists of a five-minute sailboat ride through one of (as far as I can tell) three randomly selected dreamlike seascapes set to a background of ambient music. There’s no need to avoid obstacles. In fact, you can’t even steer the boat. All you can do is look around at your surroundings while the massive sun crawls across the sky and sets in the distance. The game ends shortly after the sun sets, at which point you’re either kicked out to your desktop or kicked into another five-minute boat ride depending upon which mode you’re playing. I found Becalm to be relaxing. You might not, though, because this kind of thing is extremely subjective. Some people might find this to be simply boring. Some people might prefer to relax with a horror game filled with jumpscares. And some people like to put ketchup on hot dogs. Aside from that last one, all of the above feelings and tastes are equally valid, so I can’t say you’d be wrong for disliking Becalm. But even if you hate it, you won’t lose any money for trying it out, at least.